16th July, 2018 New Delhi, India: Passport is one of the most important identity document in India. Getting a passport made had been a tough job for many years but the advent of technology seemed to have eased out some issues. Although citizens living in metro cities have found the process of getting a passport made or renewed to have become easier, it is still an uphill task for people living in tier II and III cities. 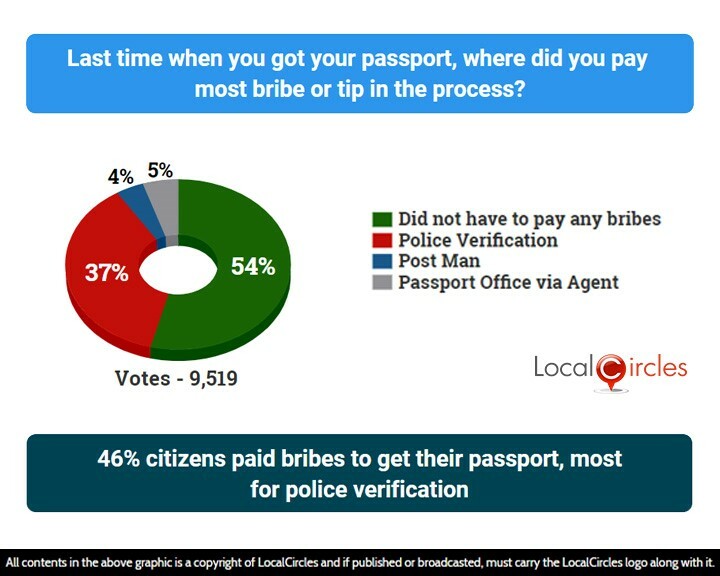 In a poll conducted by citizen engagement platform LocalCircles, 46% citizens admitted to having paid a bribe while getting their passport made. 37% said they paid the bribe during police verification, 4% paid it to the postman and 5% paid it to the passport officer via an agent. 54% said they did not need to pay a bribe during the entire process. 9,519 people voted on this poll. In a structured discussion on LocalCircles, citizens pointed out various issues they have had when trying to get a passport made or renewed. Some of them were police verification taking a long time and bribes being demanded, same counters for fresh, re-issue and renewal, touts creating a havoc outside the PSKs, too many documents being asked for etc. 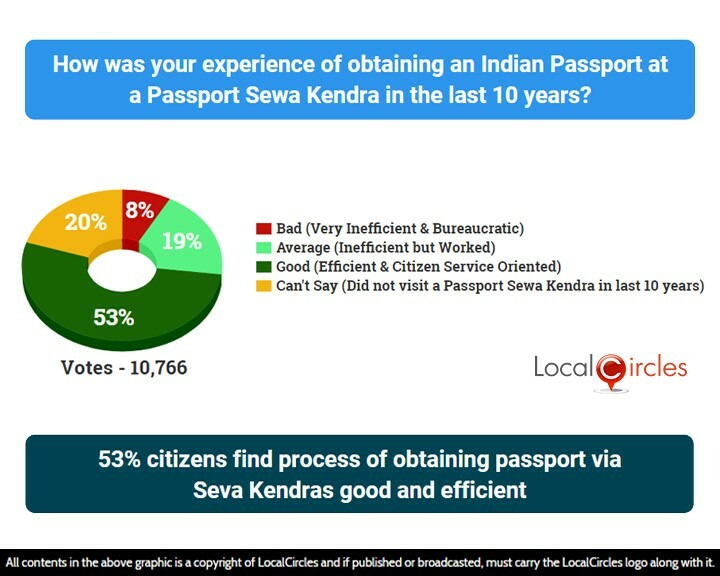 In a parallel poll in which more than 10,000 citizens participated, 53% said that their experience in the Passport Sewa Kendra was good with the services offered being efficient and citizen oriented. 19% had an average experience and found the services to be inefficient but worked. 8% said that their experience was bad and the services offered at the PSK were very inefficient and bureaucratic. 20% did not visit a PSK in the last 10 years. 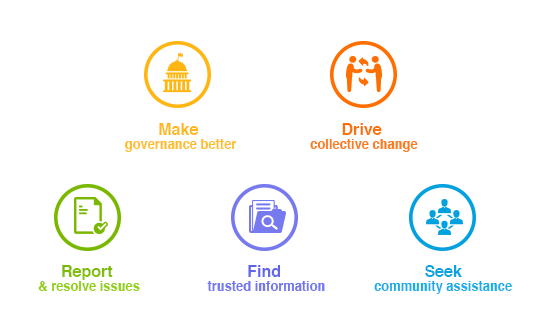 Citizens also suggested some ways to improve the passport making process. They suggest that a time duration be set for the police verification to be done, police officers should be able to monitor the verification cases assigned to them on their smart phones, paperwork be reduced, the progress be made trackable online, old rules which cause confusion should be revamped and separate counters being made for different services like fresh application, re-issue, renewal etc.